Sharon, Lois & Bram Music Garden | Kids in T.O. 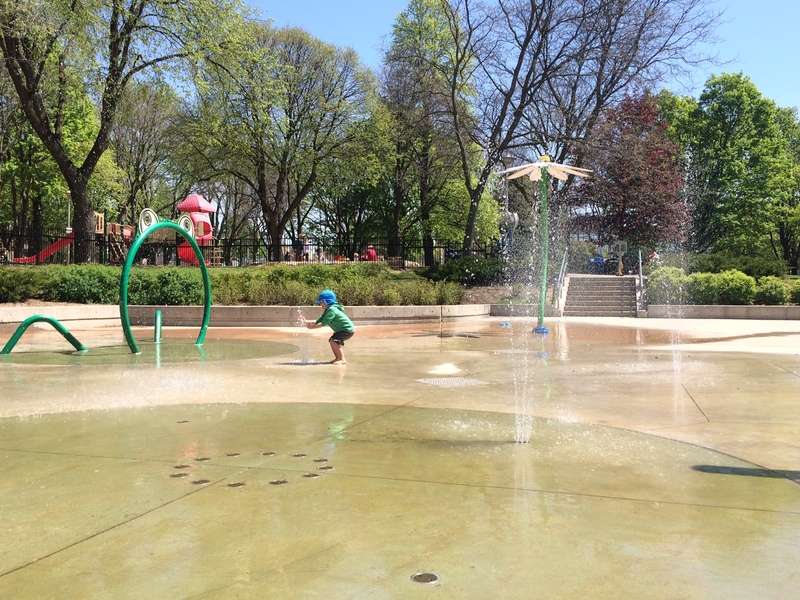 At the centre of one of Toronto’s prettiest midtown parks come sweet sounds of kids playing, laughing and — making music. No question, any Canadian parent will immediately recognize the iconic elephant made famous by musical trio Sharon, Lois & Bram. 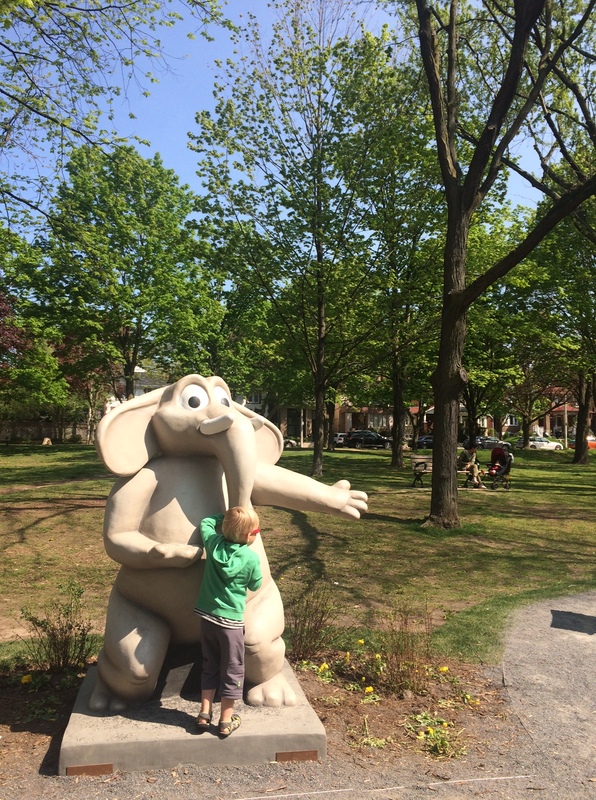 That One Elephant at the heart of the June Rowlands Park points the way to the Sharon, Lois & Bram Music Garden. 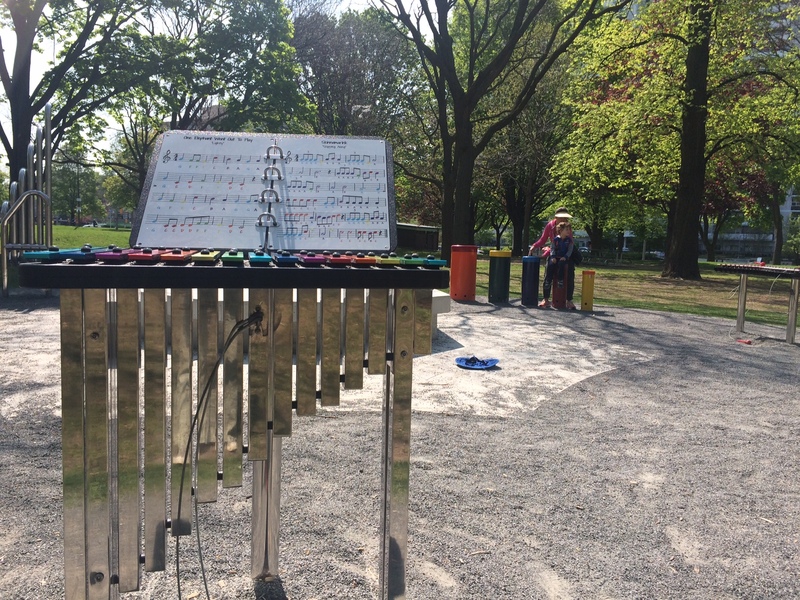 There, families can tinker away through a series of xylophone-like instruments and even learn to play classics like Skinnamarink (with the help of the colour-coded sheet music.) This is a childhood must. Getting there: June Rowlands Park is at the corner of Mount Pleasant Rd and Davisville Ave. Lots of free one-hour residential street parking. Paid street parking along Mount Pleasant. On TTC, walk west along Davisville from Davisville subway station. 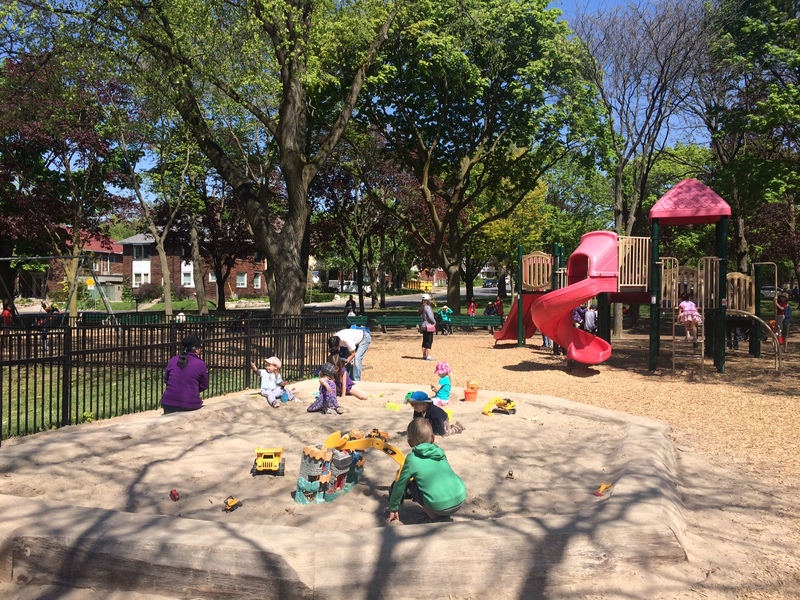 Play time: The park has the Sharon, Lois & Bram playground (wood chips), sandbox, splash pad and tennis courts. Potty time: Public washrooms open seasonally. Snack time: BYOB (blanket) and picnic. Some tables, lots of benches and shade. In the hood: Just south of Mount Pleasant Cemetery is the Moore Park Ravine. To the east, GymKats on Bayview and Skyzone off Laird. New store front for Little White Sneakers is at 597 Mount Pleasant (north of Davisville.) The Ontario Science Centre is a 15 minute drive east and Evergreen Brick Works is 15 minute drive south along Pottery Road.